Just Fresh Bakery Cafe franchise business opportunity. 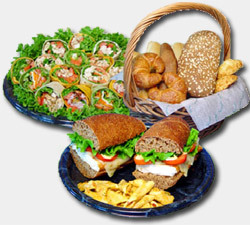 Free Just Fresh Bakery Cafe business franchise information. We have been working very hard for 10 years to learn the best way to successfully operate an upscale fast food restaurant with a healthy twist. Today, of course, that is well known as "fast casual" in the restaurant industry. For Just Fresh Bakery Café and Market, it's who we are and where we have focused since 1993. We have proven to be flexible enough to shift with market trends yet determined to stay focused on our roots: fresh, tasty, quick and healthier food and beverages. Ask any of our café customers why they choose Just Fresh over the competition, and you will learn why franchising a Just Fresh Bakery Café and Market may suit your career and lifestyle objectives. We are equally committed to applying the same levels of customer support to our franchise partners as we are our café customers. Just as the customer's experience is the focus of our stores, Just Fresh Franchise System is focused on the Just Fresh franchisee experience. Just Fresh provides an initial training class, site location assistance, basic store plans, store design, a uniform delivery system, operation manuals, store opening assistance, advertising fund, new product development, POS systems, and much more. All this delivered by a team that cares about you and the Just Fresh brand. Established system: Just Fresh stores were first opened 10 years ago. The necessary time to create, test, develop and prove the concept has been spent before the system was franchised. Development flexibility: Just Fresh is offering a system that allows franchisees to have a development agreement that covers a geographic region or a single store operation, depending on the market. What are the costs for a Just Fresh franchise? Investment range: The initial franchise fee is $25,000 for a single store. This fee is reduced for multiple locations. The estimated initial investment per store location is between $450,000 and $625,000 not including the franchise fee or development fee, which varies based on the number of units you operate. Royalty and Advertising Fund: Just Fresh receives a royalty of 5% of gross sales. An additional 1 1/2% of gross sales is paid to the advertising fund. To learn more about the Just Fresh Bakery Cafe and Market franchise opportunity, simply complete the form below.